Not to long ago chiropractors were not thought of as physicians and insurance companies would not pay for their services. The medical community has come a long way and chiropractic care has been recognized as a legitimate treatment for many conditions. Now many patients see the value chiropractors can offer especially when they need to get sciatic nerve pain relief. Currently, chiropractic care is one of the most popular solutions for patients with pain in the lower back area. After they realize that these remedies only provide temporary sciatic nerve pain relief, they make an appointment with their physician. The physician may recommend either physical therapy, or chiropractic treatment sessions. Chiropractic back treatment is thought of as a two-pronge therapy. The therapy involves two separate treatments. The first part consists of the chiropractor adjusting the spine in order to align the spine. The second part of the therapy encourages core conditioning to not only support the spine, but to also exercise and stretch the spine. The adjustment to the vertebra is high velocity and quick. During the adjustment, there is an audible popping sound. This sound is the release of gases produced between the vertebra. Chiropractors also use electrical stimulation. To help the back muscles relax, heat or ice may be applied after therapy. Several adjustments may be necessary to relieve the pain. 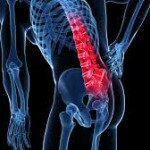 Sciatic nerve pain relief through chiropractic adjustment has become the preferred treatment for patients who have chronic back pain. The objective of the therapy is to cure the body as a whole, and not just provide symptom relief. This is an alternative approach that is successful only when the patient has made a commitment to taking part in activities that will cure the body and eliminate the pain. Are you suffering with chronic back pain and you are looking for relief? Schedule a consultation with Dr. Renee White at Champion Chiropractic.